Reception of the Welsh members, Place Foch, around noon. We give each other notice of their arrival by phone. Free time with our Welsh guest in the afternoon. The programme for the week in Nantes will be given to you. On the evening of the Tuesday, there is traditionally a cocktail reception at the city hall of Nantes where everyone is invited, including those who did the exchange a long time ago. (From 6 pm to around 7:30 pm ). You can go with the Welsh during the visits. Do not forget to register and book a seat because the number of places available is limited (we travel in their bus). If you do not wish to come, you only accompany your guest to the meeting, Place Foch and you come back to the same place in the evening. Visits will be paid by the Welsh. 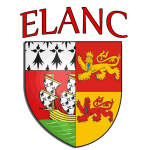 The Thursday evening meal is free for the Welsh (it is offered by ELANC) and paying for the participants of Nantes. The Welsh leave on the Saturday morning. The meeting time and place are given the day before.